When Uber's new CEO Dara Khosrowshahi introduced himself to employees one month ago, he told them the company must change. This week is shaping up to be an early and crucial test for whether Khosrowshahi can follow through on that goal. Uber is expected to vote Tuesday on a measure that could lessen the influence of ousted former CEO Travis Kalanick and also set a deadline for the startup to go public. One part of the measure up for consideration would eliminate special voting powers granted to early Uber investors, according to two sources close to the situation. 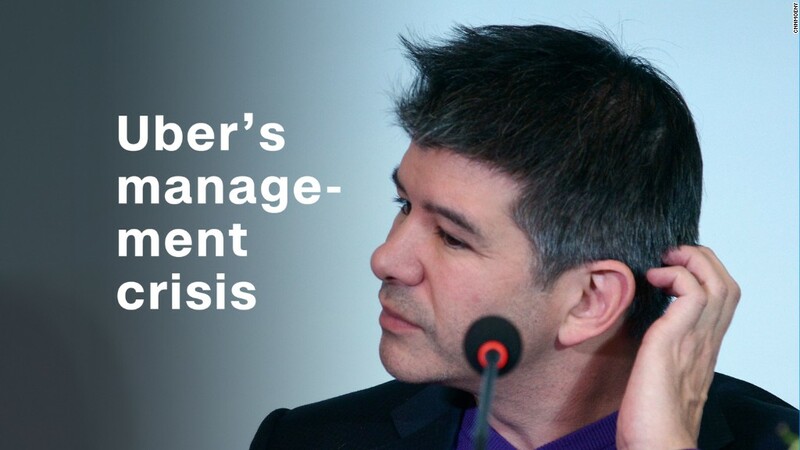 The move would shift power away from Kalanick. Another part would give Khosrowshahi, the former CEO of Expedia (EXPE), more power to fill board seats, according to the sources. The proposal comes after months of PR crises, executive departures and infighting among the board, all of which have threatened to undermine the brand and momentum of the world's most valuable startup. But the latest board deliberation has already exposed a possible power struggle between Uber's new and old CEOs, who had tried to make nice in public just a month ago. On Friday, Kalanick blindsided Uber by preempting the board vote with the appointment of two new board members: the former CEOs of Xerox (XRX) and Merrill Lynch. Despite being pressured to resign as CEO in June, Kalanick remains a board member and also controls the two additional board seats. Benchmark, an early Uber investor, has sued Kalanick, claiming he misled investors to get those seats. The case is in arbitration. Kalanick said he was making the appointments in response to the "proposal to dramatically restructure the board and significantly alter the company's voting rights." He said it is "essential" for the "full Board to be in place" to deliberate on the proposal. Uber responded by calling the move a "complete surprise." The boardroom battle serves as yet another glaring reminder of Uber's internal dysfunction and the need for corporate governance reforms. "A house divided against itself is a house that cannot stand. That's particularly true in a corporation," says Charles Elson, director of the John L. Weinberg Center for Corporate Governance at the University of Delaware. "It can't be sustainable." If that's not enough at stake this week, Uber's board is also reportedly planning to vote Tuesday on whether to move forward with what could be one of the largest funding deals in history. The investment, from Japanese conglomerate SoftBank, is widely rumored to be for as much as $10 billion. SoftBank, which has pumped billions into ride-hailing startups abroad, has previously expressed interest in partnering with Uber or Lyft. Reps for Uber did not immediately respond to a request for comment on this story. -- CNN's Jackie Wattles contributed reporting.